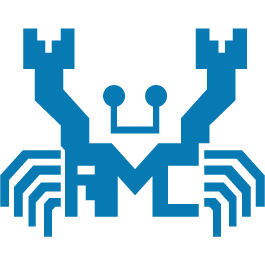 Realtek HD (High Definition) Audio Codec Driver for Windows Vista/7/8/10 32-bit and 64-bit. Keep your PC sounding crisp and clear. Step 1. Before installing the Realtek High Definition Audio Driver, Press the [Cancel] button if Windows detect the Multimedia Audio device. Step 2. Run the setup.exe program to start the installation. Step 3. Click on [Next] to continue the procedure. If the screen resolution is lower than 1024*768,press [Yes] to continue the installation. If the Windows popup "Digital Signature Not Found" message, press [Yes] to continue the installation. Step 4. Finally, select to restart the system and press [Finish] to complete the installation. Step 1. Run the setup.exe program to start the installation. Step 2. Click on [Next] to continue the procedure. If the screen resolution is lower than 1024*768,press [Yes] to continue the installation. If the Windows popup "Windows can't verify the publisher of this driver software" message, press "Install this driver software anyway" to continue the installation. Step 3. Finally, select to restart the system and press [Finish] to complete the installation. Step 1. Follow Step 2,3,4 described in [Setup at first time] above to complete the procedure. Step 1. Run setup.exe, it will remove the original driver in your system. Step 2. Click "Next" to remove the original audio driver in your system. Step 3. Once after the original driver removed , reboot the computer. Step 4. It will install audio driver automatically after computer restarted. Step 2. Select [Add or Remove Programs] icon. Step 3. Select "Realtek High Definition Audio Driver" and press [Remove] button. Step 4. Click on [Yes] to finish the uninstallation. Step 5. At the end of the procedure, select to restart the system and press [Finish] to complete the uninstallation. Step 2. Select [Programs] icon. Step 3. Select [Programs and Features] icon. Step 4. Select "Realtek High Definition Audio Driver" and press [uninstall] button. Step 5. Click on [Yes] to finish the uninstallation. Step 6. At the end of the procedure, select to restart the system and press [Finish] to complete the uninstallation. Step 1. Go to Apps. Step 2. Select "Control Panel" in "Windows System"